Some people look forward to summer as a time to lie on their backs and watch clouds pass. Others break out the to-do list to keep brains and bodies busy. If your family falls into the second category, but your to-do list is shorter than you’d like, here are some suggestions to keep youngsters alert and active while schools are out. Some are free; some have registration and/or materials fees. All offer engagement in goings-on sprinkled around Douglas County. For some camps/classes beginning this week, spaces may already be full. Check with each location to inquire about space availability. Topics range from Wacky Science to Engineering Greatness to Get-Smart-Phone. Most activities take place from 8:30 a.m. to noon each week from June 13 through Aug. 26. Camp participants may arrive as early as 7:30 a.m. and are encouraged to stay in the afternoon; the Club closes at 5:30 p.m. All activities start at the Club at 1144 N.E. Cedar St., Roseburg, with some, such as a hiking class, going off-site. Breakfast, lunch and a snack are covered in the fees. Cost is $90 per week for members, $100 per week for others. There is a late fee of $10 for registration that takes place the week of the camp. Scholarship recipients pay $30 to $60 per week; details are available at the Club. 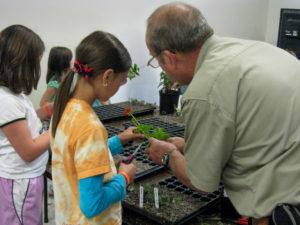 For registration and information, call 541-440-9505 or visit http://bgcuv.org/programs/summer-programs/. Animals, earth, nature, bugs and water wonders are among the topics offered at YMCA Summer Day Camp, geared for children ages 6 to 12 (6-year-olds must have completed kindergarten). The camp goes on for 11 consecutive weeks. Full-time day camp runs from 9 a.m. to 4 p.m. and costs $127 per week for members, $155 per week for others. (Before-camp and after-camp care are available for a weekly fee). Most activities take place at the YMCA at 1151 Stewart Parkway, Roseburg, but some field trips are planned. Meals and snacks are provided. An application form can be downloaded at http://www.ymcaofdouglascounty.org/daycamp.html. For information, call 541-440-9622, ext. 230. Besides sports camps and swim classes, Umpqua Community College will host summer learning sessions for two age groups – Discovery College for Kids (for youth entering first through sixth grades) and Matrix for Teens (for youth entering seventh through 12th grades). Discovery College has morning, afternoon or full-time sessions for each week. All are held Mondays through Thursdays at the UCC campus, 1140 Umpqua College Road, Roseburg. Children are divided into a first- through third-grade group and a fourth- through sixth-grade group. Sessions run from the week of June 20 to the week of July 25. Camp themes are Jurassic World, Star Wars, Express Yourself, Spy Camp and Tech Camp. In Matrix for Teens, weekly themes for grades 7 through 12 are similar to those of the younger grades, with the addition of a Robotics Camp for ninth- through 12-graders during the week of July 11-14. Most weekly fees are $109 for morning sessions, $109 for afternoon sessions and $199 for full-day camps, though there are exceptions. For details and registration, go to http://www.umpqua.edu/roseburg-summer-fun. Or call 541-440-4668. 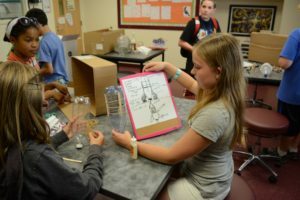 The Yoncalla School District is sponsoring a series of four family activity nights devoted to STEAM themes in July and August at Yoncalla Elementary School, 401 First St. Materials for the program were purchased using a grant from the Portland Trail Blazers’ Take it to the Court Education fund. Activities take place from 6 to 8 p.m. on Thursdays. The school music program will sell pizza at 5:30 p.m. before each gathering. Yoncalla Early Works will provide activities for small children. Lego Robotic kits will be given away at the last session. For information, contact Mary Marshall at mary.marshall@yoncalla.k12.or.us (available in summer). The Myrtle Creek-based nonprofit group Safe Place for Kids is organizing a series of free summer activities for children grades kindergarten through 5 in three different locations in southern Douglas County. Art in the Park will take place from 10 a.m. to noon June 13-17 in Riddle Community Park, 647 E. First St., Riddle. Volunteers will guide children through making various holiday crafts and working in clay and paints. A Week in the Forest will feature activities scheduled from 9 a.m. to noon July 11-15 in Alder Creek Community Forest, 829 Canyonville-Riddle Road, southwest of Canyonville. Participants will take three different hikes on different days, exploring streams, trees, plants and animals and learning about forest safety. 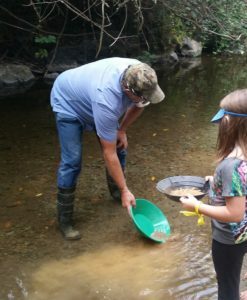 Creek Week is scheduled from 9 a.m. to noon Aug. 1-5 at Evergreen Park, 119 Camden St., Myrtle Creek. This year’s activities will feature a pioneer theme, with weaving, panning for gold and learning about various fish from a representative of Oregon Department of Fish and Wildlife. For information, contact Candace Courson at 541-863-7850. Whether it’s painting, sculpture, clay, sewing or even creating rocket ships, the Umpqua Valley Arts Association offers tons of ways to keep children creatively occupied through Summer Kids Camps. Classes are geared for children ages 3 to 14. Each camp is four days, from Tuesday through Friday, with a different theme each week. Full-day and half-day options are available. Camps take place over seven weeks, starting June 14 and ending the week of Aug. 16. All take place at the Umpqua Valley Arts Center, 1624 Harvard Ave., Roseburg. Morning sessions are from 9 a.m. to noon and afternoon sessions are from 1 to 4 p.m. Children who will be attending all-day sessions should bring a sack lunch. The weekly cost of a half-day session is $45 for members and $55 for others. Weekly full-day sessions cost $75 for members and $85 for others. Registration forms can be picked up at the arts center or found online at http://uvarts.com/summer-kids-camps/. Call 541-672-2532 for information. It’s all about coding, solar cars and gardening this summer at the Winston Teen Center, inside the Winston Community Center at 440 S.E. Grape St. The Winston Area Community Partnership is sponsoring STEAM activities for area youth that will take place in various intervals from June 20 through Aug. 29. Two sessions of Solar Car Week are planned, both geared to ages 12 to 18. Both take place from 2:30 to 5:30 p.m. on Monday through Friday and have lunch provided. One is scheduled from June 13 to 17; the other is from July 25-29. 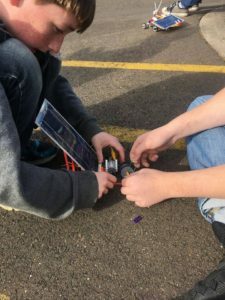 Kids will use their imaginations to create Lego solar-powered cars. The week will end in a competition to determine the fastest and most ingenious cars. The solar car activities are free. Also scheduled is Let’s Code. In this activity, participants ages 12 to 18 explore programming their own games to share with friends. Let’s Code takes place from 2 to 5 p.m. on weekdays from June 20 to 30 (excluding Friday, June 24). Lunch is provided. Cost is $30 and includes a T-shirt and game engine software. The longest-lasting activity, Grow Big or Go Home, will take place from 2:30 to 4:30 p.m. every Monday from June 20 through Aug. 29, except for July 4 (Independence Day). As with other activities, lunch will be provided. Grow Big or Go Home uses the Winston Community Center Learning Garden to teach youth the joys of gardening. Participants will learn about different styles of gardening, composting, wildlife habitats and techniques for maintaining personal growing spaces. Weekly activities will include worm races, math in the garden and a family compost feud. For information on all camps or to register, send email to healthywinston@gmail.com or call Paulette Roberts at 541-580-7336. To find out more about Winston Area Community Partnership, visit www.healthywinston.org.